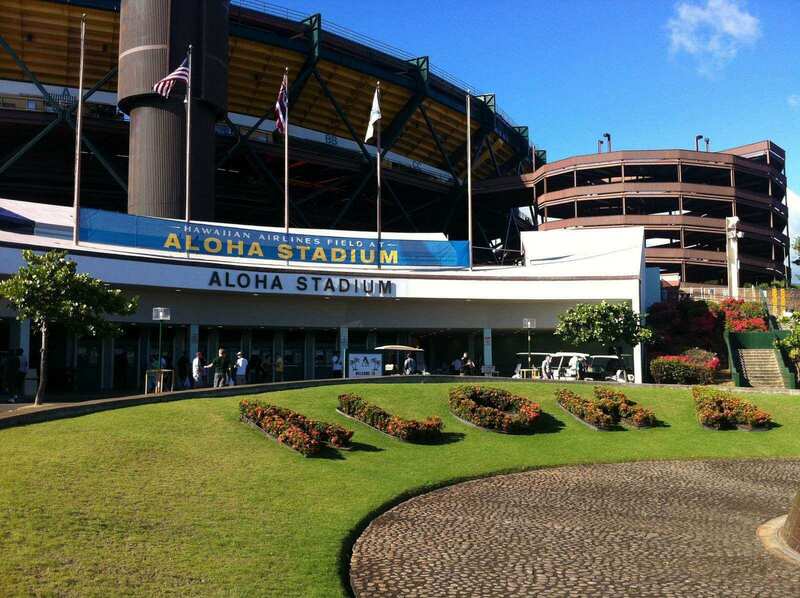 After the naming rights deal with Hawaiian Airlines, the field was renamed as "Hawaiian Airlines Field" at Aloha Stadium. Post the expiration of the deal with Hawaiian Airlines, it was unnamed until "Hawaiian Tel Federal Credit Union" signed an agreement. Aloha Stadium is situated in Halawa, Hawaii, a western suburb of Honolulu. It is the largest stadium in the state of Hawaii. 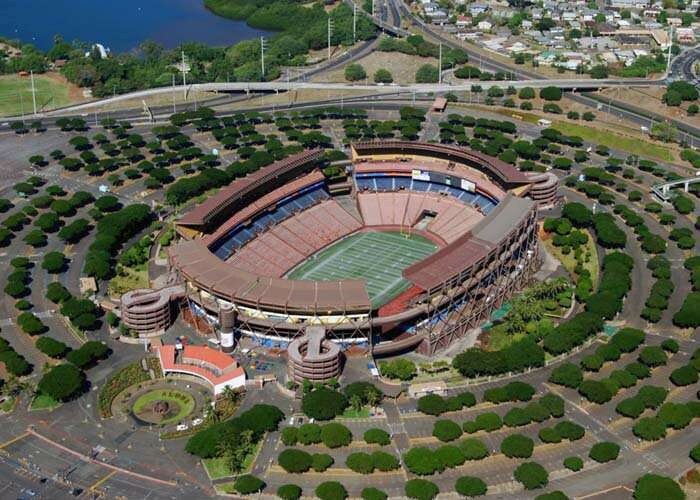 Aloha Stadium was constructed in 1975 at the cost of $37 million. 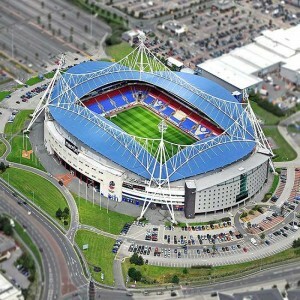 It has hosted NCAA's Hawaii Bowl along with various high school football games as well as major concerts, and events. 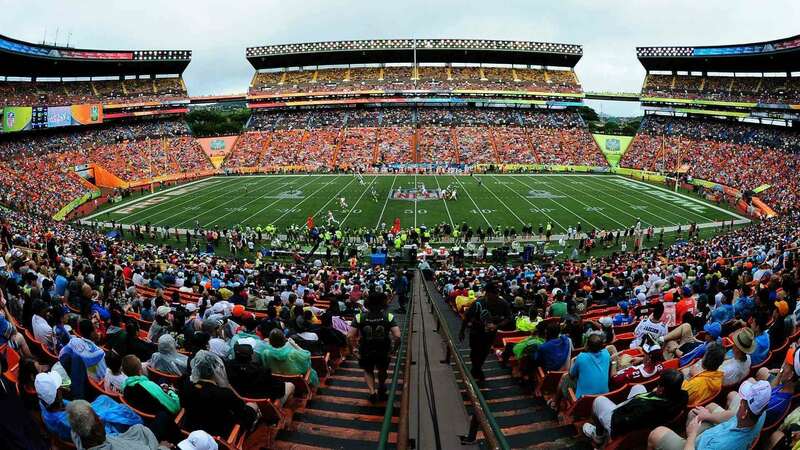 It is the home stadium of National Football League's Pro Bowl and a former home ground for AAA Hawaii Islanders of the Pacific Coast League. 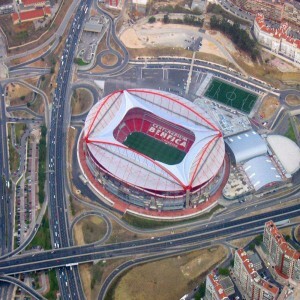 This stadium was reconfigured for different sports and other purposes. 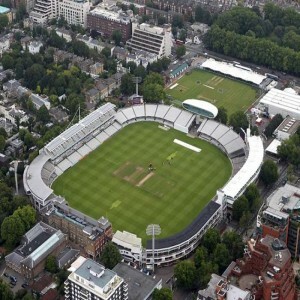 It has four movable 7,000-seat sections which could move using air casters into a diamond configuration for baseball (also used for soccer), an oval for football, or a triangle for concerts. 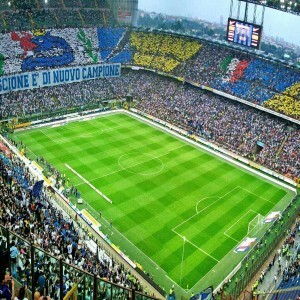 In 2003, the Astro Turf was substituted by Field Turf and later to UBU Sports Speed S5-M synthetic turf system. 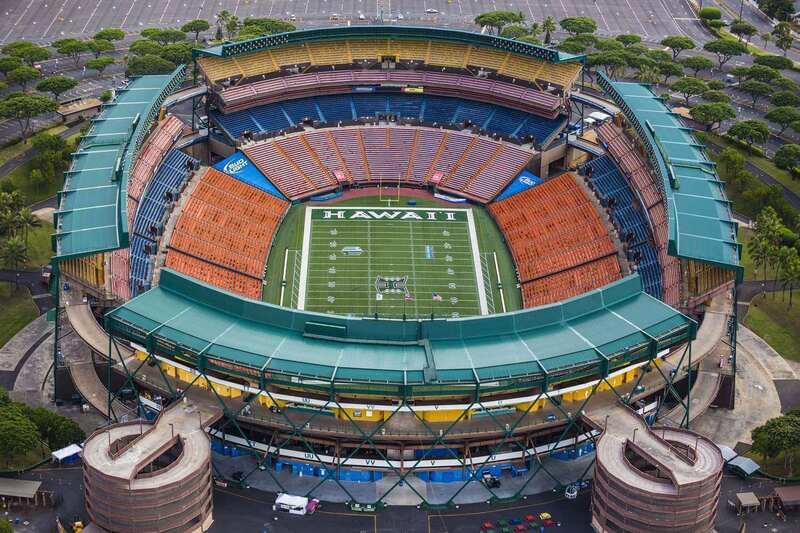 The stadium has served as the stamping ground for several teams such as Hawaii Rainbow Warriors football (NCAA), The Hawaiians (WFL), Hula Bowl, Hawaii Islanders, Team Hawaii, Aloha Bowl, Oahu Bowl, Hawai'i Bowl, St. Louis Crusaders, and Pro Bowl. 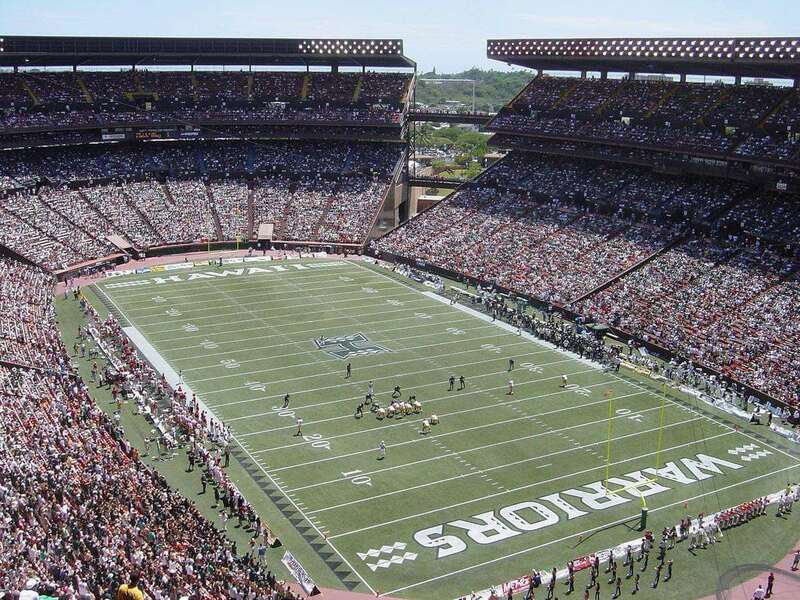 The first sporting event held at Aloha Stadium was a football game between the University of Hawaii and Texas A&I (renamed as Texas A &M-Kingsville) in September 1975. 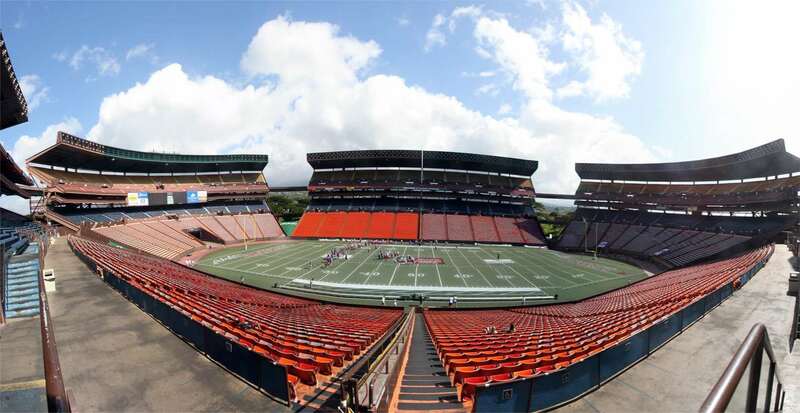 The stadium is controlled by the State of Hawaii and maintained by Hawaii Stadium Authority. In 2008, the state of Hawaii allocated a sum of $185 million to refurbish the aging Aloha Stadium. The playing field was renovated in 2011 due to the naming rights sponsorship from Hawaiian Airlines and was rename as Hawaiian Airlines Field. It has also served as a venue for public high school graduation ceremonies in 2016.